If crosswords are your ideal way of relaxing and rejuvenating while having a gala time solving all those cryptic puzzles, you love for it shall surely go a level up if you play Wealth Words. 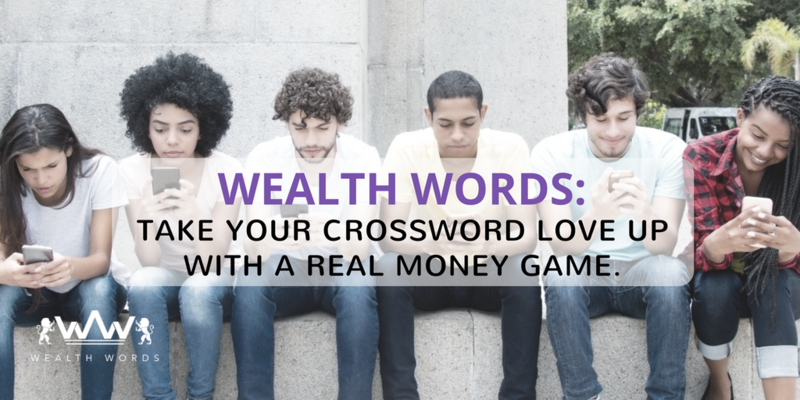 In fact, even if you aren’t such a big crossword fan or have never played a game or two of it, Wealth Words is going to change that for sure. Yes, it has that kind of undeniable charisma! Wondering what’s so undeniably charming about this crossword with real money? Well, unlike the old school crossword which was printed on paperbacks and required crossword aficionados to wait for Sunday magazines and newspapers. 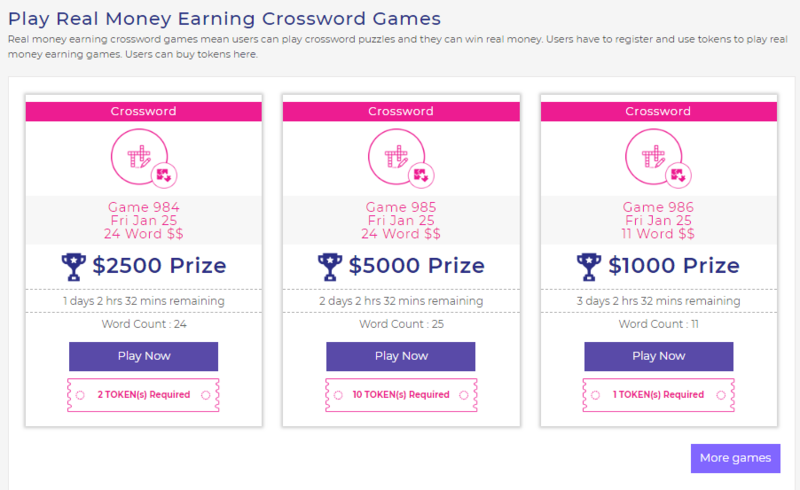 Wealth Words has reinvented crosswords in a totally new online avatar where you can’t only unleash your inner wordsmith at your fingertips but also win cash prizes with these real money earning games. 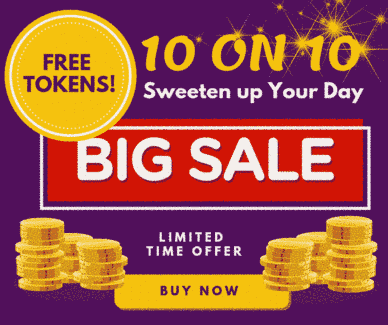 Yes, these new age online crossword puzzles are no less than online money earning games where every correct answer lands you amidst some of the most amazing pool of cash prizes. Isn’t that downright wonderful? Curious how can you indulge in its oh-so-enticing puzzling sessions? Well, it couldn’t get easier. You just need to pick any of your digital device having a strong internet/wifi connection and register at its website. Do it either through your email or Facebook account followed by a token purchase of $2 each and you are good to go and dive in its intricately crafted world of puzzles. Pretty simple, isn’t it? In fact, deciphering the puzzles here are also simple. All you need to do is keep your focus on the clues and cues that come your way and submit your answers in an active time frame of an hour to be ahead in the race of winning all the cash prizes. The time limit has been set to give each and every player abundant time to play this crossword puzzles online while unleashing their inner wordsmith. How thoughtful is that! Distributed in the form of division 1 and division 2, winning cash prizes at Wealth Words is also as easy as ABC. While acquiring the division 1 cash prizes requires you to answer all of its 20 puzzles correctly, the division 2 cash prizes are meant for the player with the second highest correct answer. So, you see, even if you miss out on winning division 1 prizes, you still have the chance to win division 2 prizes. Isn’t it enough to make Wealth Words your favorite online crossword? It certainly is. In fact, Wealth Words offers a lot more which makes it a totally irresistible online crossword. Excited to know what it is? Well, try playing its plethora of active games and find it yourself. Yes, these intriguing word games ranging between 2 to 20 words can give you cash prizes as high as a mind-blowing $1600. Now, that’s way too huge of cash prizes for a simple game of words, right? Well, there’s a reason Wealth Words is called one of its kind of puzzle and has got a competitive edge over its counterparts. And, if this is not enough, it even comes up with an open game every now and then, where the players can hone their puzzling skills by practicing a game or two of crosswords for free. Yes, it doesn’t require you to purchase any tokens or get yourself registered at all. Hence, it wouldn’t be wrong to say that Wealth Words has everything to keep crossword aficionados hooked to it always. So, why not get going with Wealth Words and laugh all the way to bank while boosting your confidence and personality to an altogether new level? In fact, you might even want to call out your puzzler friends and make this exciting game a lot more fun and entertaining as you play together and win together too. Sounds like a great idea, right? Then go, make it real and paint the town red with your puzzling skills! How to Keep Your Mind Active and Sharp?